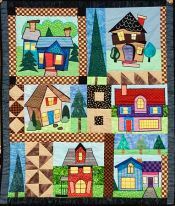 In Patricia Decker's non-quilting life, she is a graphic designer. For many years, most of her work was black and white advertising print design. 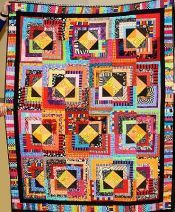 That experience partly explains her enthusiasm for very colorful quilts. 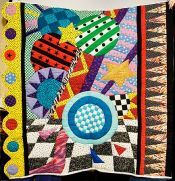 Her first quilt, in 1979, was a totally non-traditional design. It was an alphabet and animals baby quilt painted on muslin with machine-stitched outlines. Not knowing a thing about fabric paints, it was stiff from acrylic paint and definately meant to be a wall quilt. (Otherwise it probably would have crushed the recipient!). 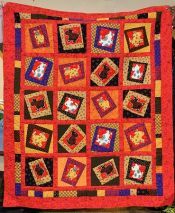 Pat retired from quilting for a few years, partly because she was under the impression that one needed a quilting frame in order to quilt, and also felt that you needed to have a reason to make a quilt — like a wedding, baby shower or holiday. 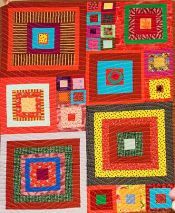 But then she was given Beth Gutcheon's book, The Perfect Patchwork Primer, and she also discovered "quilt as you go." Off She went, and she hasn't looked back! 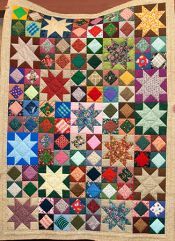 In the past 20 years Pat has sewn close to 200 quilts and unfinished tops. The designing, planning and piecing are her favorite activities. 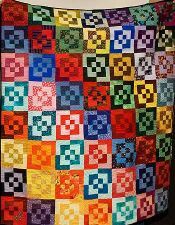 The quilting is not. 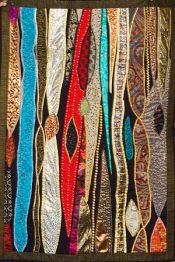 She is a dedicated "scrap" quilter who believes that very few fabrics (even the downright uglies) can't find a place in one of her quilts. She claims that she learns everything the hard way — "my seam-ripper is a faithful companion." 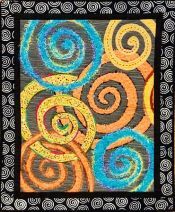 Pat has been a member of Empire Quilters since 1995, the Long Island Quilters Guild since 2001 and prior to moving into Manhattan, she belonged to the Eastern Long Island Quilters Guild. 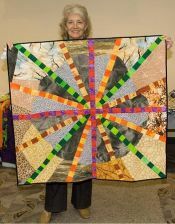 In Pats words: "Can't say I'll ever be an expert at any phase of the quilting process, but I sure do enjoy trying." And we're certainly glad that she keeps at it!